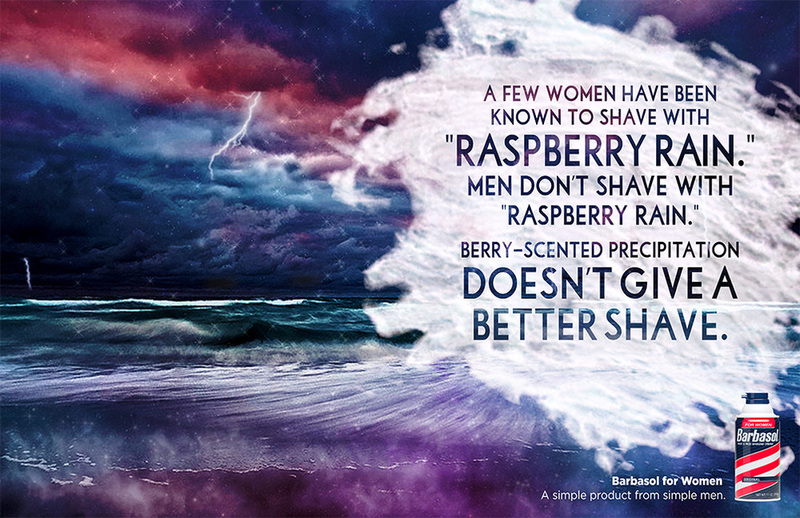 Women's shaving creams are ridiculously scented. Not every woman wants to smell like "Luscious Kiwi Splash," but women don't have a no-frills option. So we took Barbasol, the most basic men's shaving cream, and created a brand extension for the women who can appreciate a simple product from simple men.